Production has started on the 2011 Doctor Who Christmas Special in which the Doctor (Matt Smith) finds himself in war-torn England embarking on a mysterious adventure with a young widow and her two children. The guest cast includes Claire Skinner (Outnumbered), Bill Bailey (Black Books), Arabella Weir (The Fast Show) and Alexander Armstrong (Armstrong & Miller), joining Matt Smith in the festive special of Christmas thrills and chills. 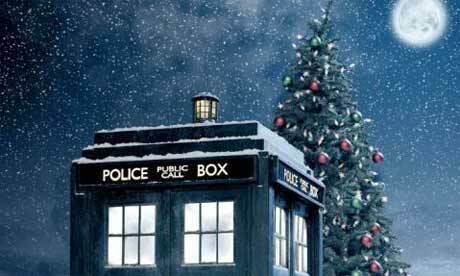 This marks Matt Smith’s second outing as the Doctor at Christmas time and will follow hot on the heels of the 2011 series, currently airing on BBC One until October 2011.